The 2018 Bommarito 500 is now in the books. Last year, Will Power was on the pole, crashed on the first lap and was out of the race. This year he stated fourth and won the race. But it was hard and it wasn’t pretty. Sébastien Bourdais crashed in pretty much the same spot that Power did last year on the opening lap. Once the race restarted on Lap 7, the race settled into way too much of a rhythm. That’s a nice way of saying it got boring. From Lap 7 to Lap 173, it was green flag racing. 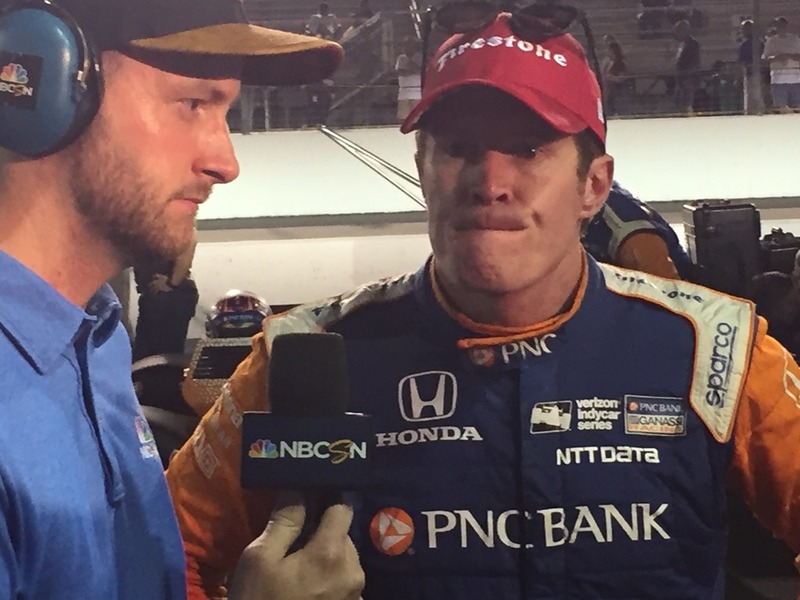 Except for pit stop shuffles, Scott Dixon led through Lap 150. It was just before that point that Will Power went on a charge. Since he tried a move on Dixon on the outside earlier in the race, Power had been a non-factor. But after his second pit stop, Power’s car was a rocket. 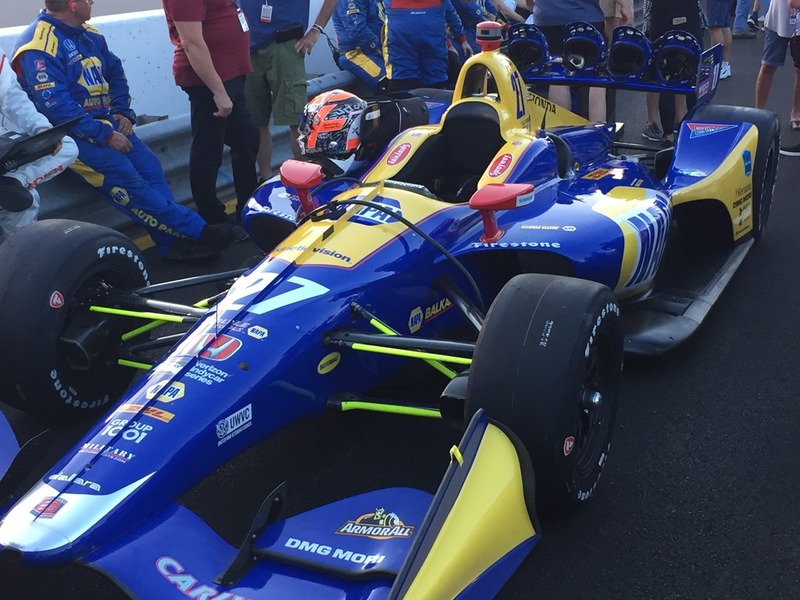 He passed Ryan Hunter-Reay, Alexander Rossi and then Scott Dixon for the lead. 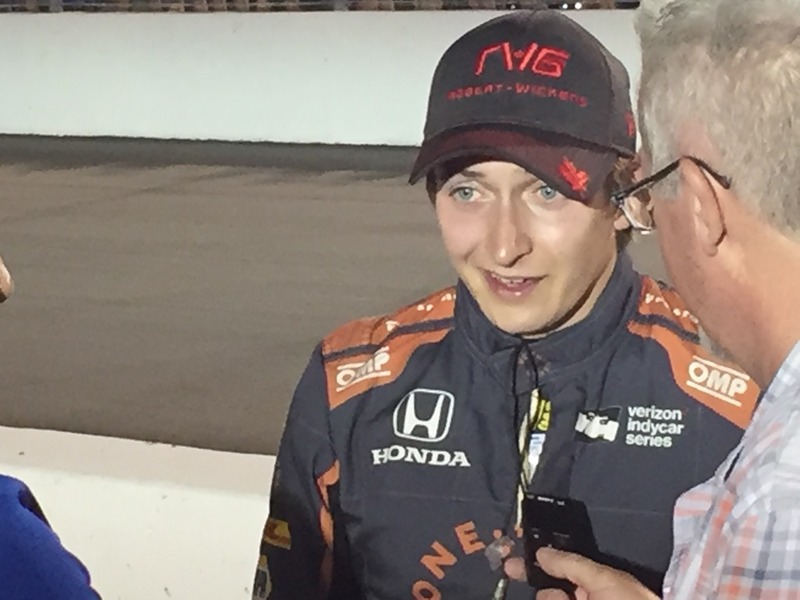 Suddenly a race that was controlled by championship leader Scott Dixon was suddenly Power’s to lose. 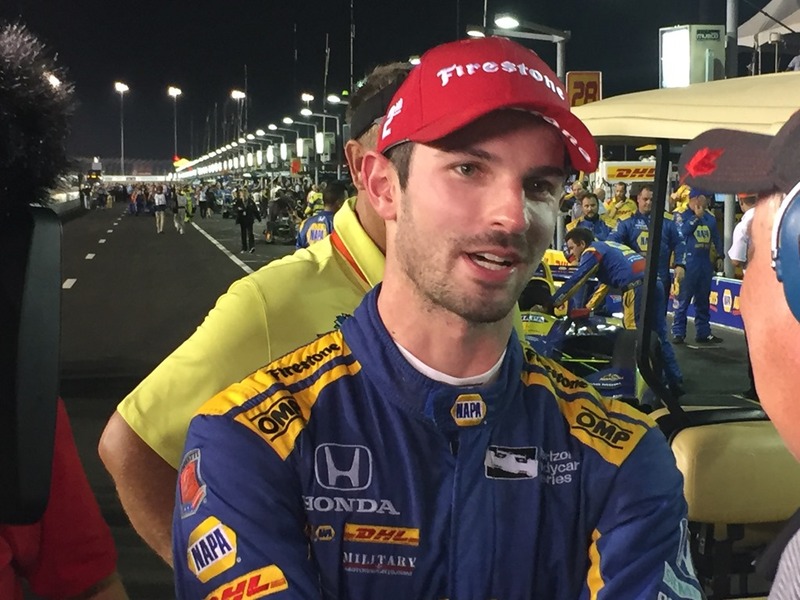 About the same time Power began his move to the front, Alexander Rossi began to drop like a stone. Rossi had been running third for most of the night. He tried to pass Dixon for second, but Dixon would have none of it. As Dixon chopped him off, Rossie lost two positions, then three and then four. At one point late in the race, Rossi was eighth and going backwards. 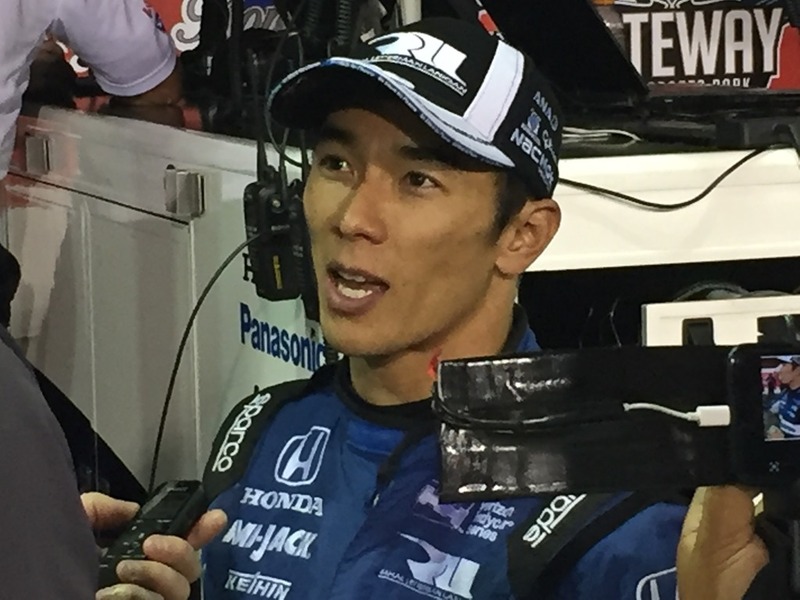 But as everyone, and I mean everyone except for Graham Rahal pitted late in the race – Rossi went into fuel saving mode and somehow finished second by making only three pit stops while most others made it a four-stop race. 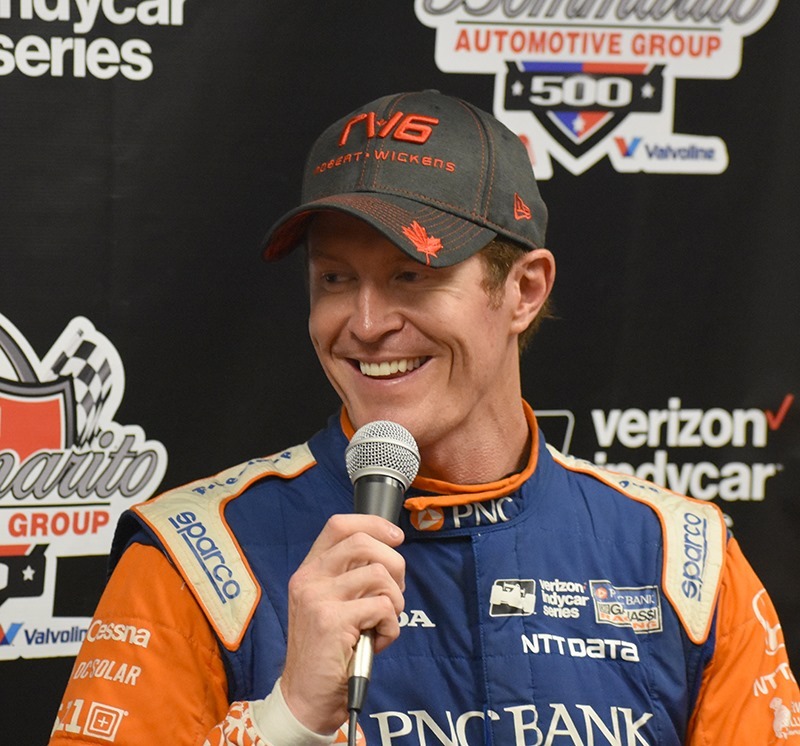 To the chagrin of Scott Dixon, Rossi finished one place ahead of Dixon. As Dixon led 145 laps, he finished third and behind his closest pursuer in the championship. Dixon’s lead is now down to twenty-six over Rossi with two laps to go. 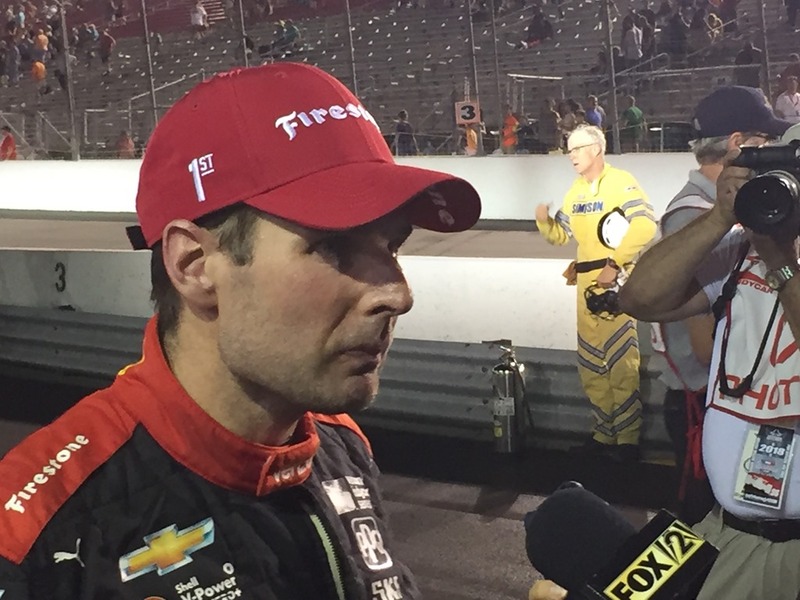 But once past the halfway point, Will Power was suddenly in a class of his own. Sooner or later, I’m going to stop paying attention to what the Team Penske cars do in practice. 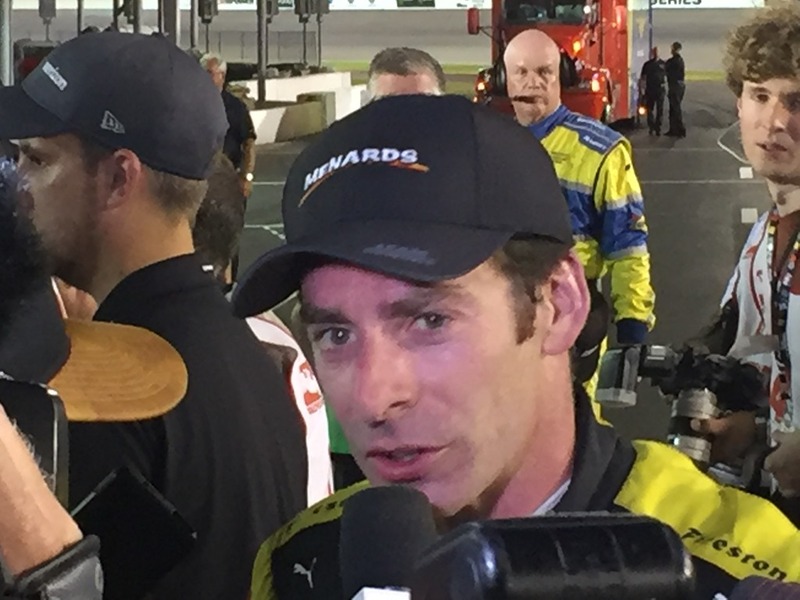 While all three Penske cars spent most of practice outside of the Top-Ten, they finished first, fourth and seventh in the race. Here is a video that Susan made just after the command to fire engines, as the cars were leaving the pits. That’s going to do it for tonight. I’ll close with a few photos I made before and after the race. I will have my usual “Random Thoughts” article on Monday, with more comments after I’ve had time to digest this race along with several more photos and videos. Thanks for following along this weekend and please remember to check back on Monday. 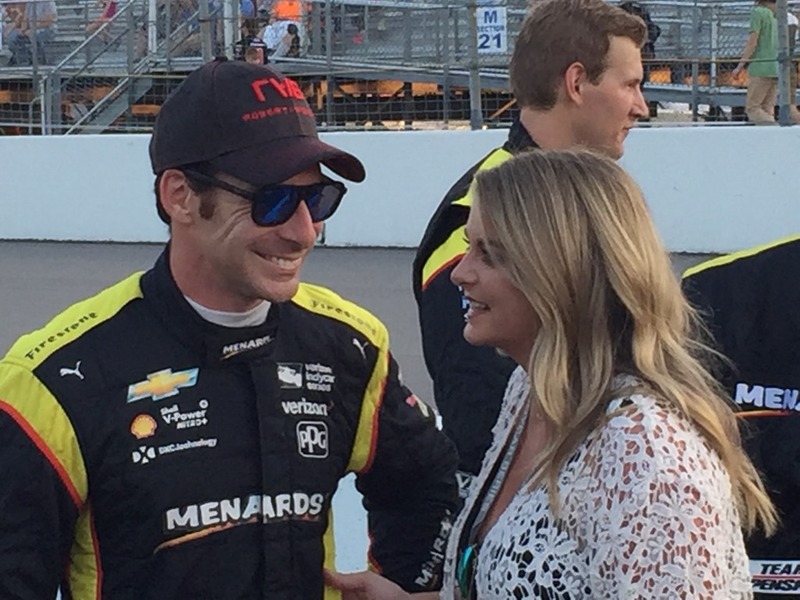 This entry was posted on August 25, 2018 at 11:44 pm and is filed under IndyCar. You can follow any responses to this entry through the RSS 2.0 feed. You can leave a response, or trackback from your own site. Good coverage this weekend, George, thank you.